Charnwood Stoves have been made on the Isle of Wight since 1972. A Charnwood stove will burn wood, coal and smokeless fuels at maximum efficiency and output low emissions, giving a clear view of the fire. They will deliver a reliable overnight burn providing warmth to the whole property with an amazing degree of control and economy. 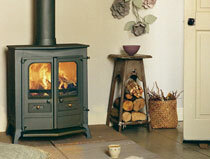 Visit our Charnwood C-Four Stove page. 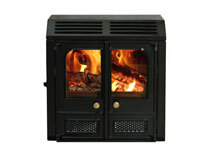 Visit our Charnwood C-Seven Stove page. 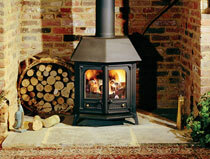 Visit our Charnwood Country 6 Stove page. Visit our Country 16B Multi Fuel Boiler Stove page. Visit our Charnwood Cove 2 page. 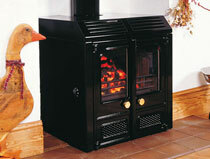 Visit our Charnwood Island 1 Stove page. 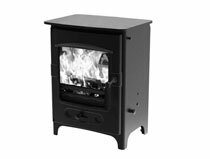 Visit our Charnwood Island 3 Stove page. 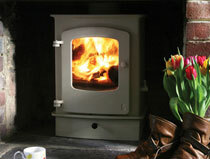 Visit our Charnwood LA 20i Stove page. 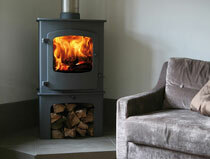 Visit our Charnwood LA 50B Stove page. 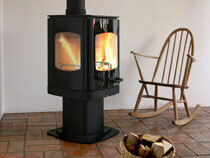 Visit our Charnwood Tor Pico Stove page. 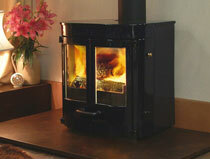 Visit our Charnwood C-Five Stove page. 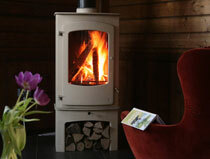 Visit our Charnwood C-Eight Stove page. 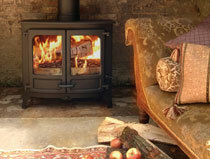 Visit our Charnwood Country 8 Stove page. 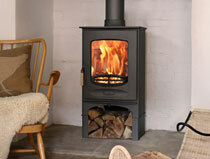 Visit our Charnwood Country 16B Wood Burning Stove page. 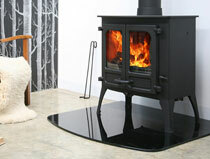 Visit our Charnwood Cove 2B Stove page. 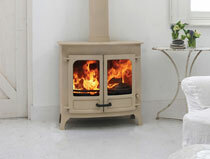 Visit our Charnwood Island 2 Stove page. 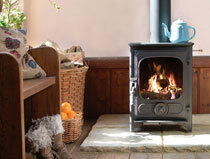 Visit our Charnwood Island 3B Stove page. 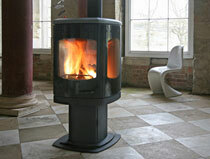 Visit our Charnwood LA 30iB Stove page. 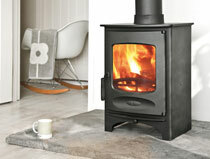 Visit our Charnwood SLX 20 Stove page. 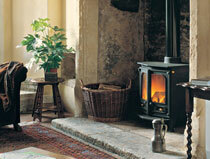 Visit our Charnwood Tor Stove page. 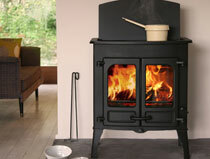 Visit our Charnwood C-Six Stove page. 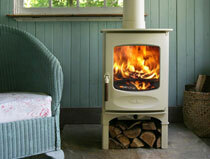 Visit our Charnwood Country 4 Stove page. 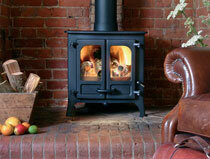 Visit our Charnwood Country 12 Stove page. 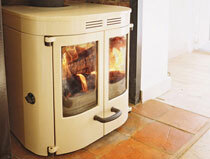 Visit our Charnwood Cove 1 Stove page. 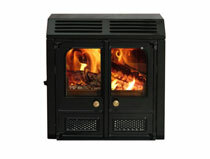 Visit our Charnwood Cove 3 Stove page. 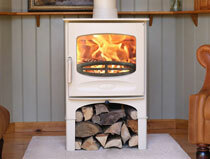 Visit our Charnwood Island 2 CT Stove page. 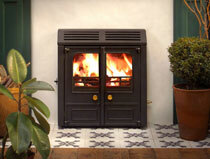 Visit our Charnwood LA 10 Stove page. 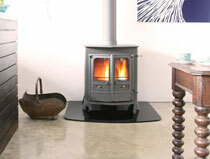 Visit our Charnwood LA 45B Stove page. 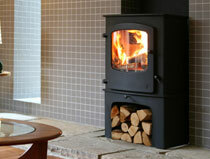 Visit our Charnwood SLX 45 Stove page. "You won't have to light your Charnwood stove every morning: it will deliver a reliable overnight burn providing warmth to the whole of your property and all with an amazing degree of control, economy and environmental friendliness"
Charnwood stoves built their first stove thirty five years ago, many of these original models are still heating people's homes and are still giving good service. Charnwood are a British stove company with an excellent reputation for building products that last and at County Woodburning Centre we believe that this is how it should be; whilst not everybody will want a thirty year old stove it is good to know that an investment in a Charnwood is a long term relationship. Charnwood buy, where possible from local UK based suppliers. They build their stoves in their purpose built factory on the Isle of Wight using a combination of high-tech precision machinery and skilled hand working. Many Charnwood employees have been with the company for over 20 years and have seen them grow from an operation producing a few hundred stoves a year to one making many thousands of units that are sold worldwide. Charnwood stoves provide a warmth that no other energy source can equal. The benefits are numerous: a Charnwood stove will 'breathe' allowing the heat to seep into the very fabric of your home - the constant source of heat and continual air changes reduce condensation. Charnwood invest a great deal of time and money into innovative stove design and development and are at the forefront of the new generation of clean burning, ultra efficient stoves. You won't have to light your Charnwood stove every morning: they'll deliver a reliable overnight burn providing warmth to the whole of your property and all with an amazing degree of control, economy and environmental friendliness. 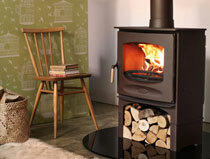 Our best selling Charnwood stoves are the Charnwood Country 4, the Charnwood C Four stove and the Charnwood Cove 1 stove. Charnwood stoves are all capable of producing a substantial level of heat. Please consult with us with regards to the most suitable heat output for your intended installation. Contact County Woodburning Centre on 01724 844872 and our friendly, knowledgeable staff will answer your questions about any of the Charnwood stoves shown on our website. Alternatively, why not visit our 3000 square foot Lincolnshire stove showroom where we'll be happy to light up one of our Charnwood stoves so you can see these beautiful stoves for yourself. Sign up to receive information about our latest products or offers. Visit the largest woodburning stoves and range cookers showroom in North Lincolnshire. 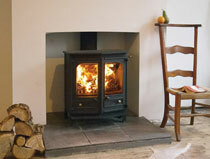 County Woodburning stoves installers are HETAS qualified. We operate throughout Lincolnshire and Yorkshire including Scunthorpe, Hull, Hessle, Beverley, Doncaster, Lincoln, York and Leeds. We deliver FREE throughout the UK! 3000 sq ft. Over 200 woodburning stoves, multifuel stoves and range cookers and 15 live displays. New wood burning stoves, multi fuel stoves and range cookers added throughout 2014. Sign up to our newsletter for the latest updates, news and special offers. Copyright © 2014. County Woodburning Centre. All Rights Reserved.